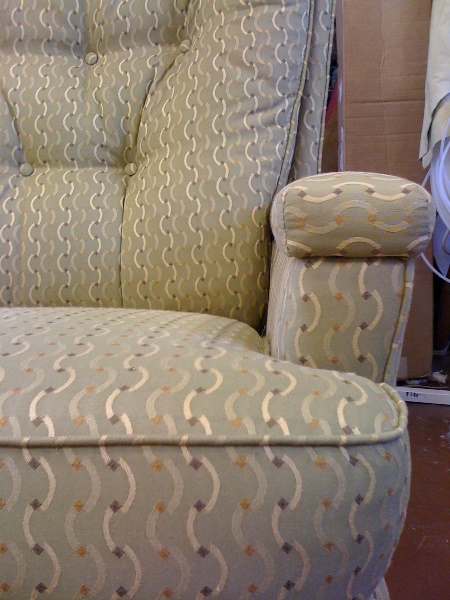 FURNITURE UPHOLSTERY: Our skilled upholsterers have been in the business for over 30 years and their work is of the highest quality. 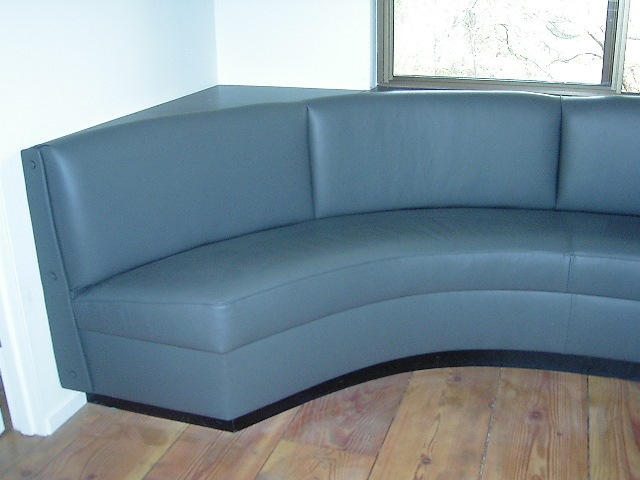 We work on all types of furniture: Outdoor sling, stap and cushion style furniture, antiques, new- damaged, restyle, custom made, slip covers, window seat cushions, recliners, dining chairs, restaurant booths, auto and boat seats, motor homes, custom cornice boxes and much more. WOOD REFINISHING: To make the job the best it can be, a custom refinishing for the exposed wood is now available. Check our excellent pricing. FABRICS: We carry exclusive lines of fabrics in every catagory you can imagine. Durable fabrics made in the United States. Including beautiful Top Grain Leather Hides, sheep skins and cow hair on hides. 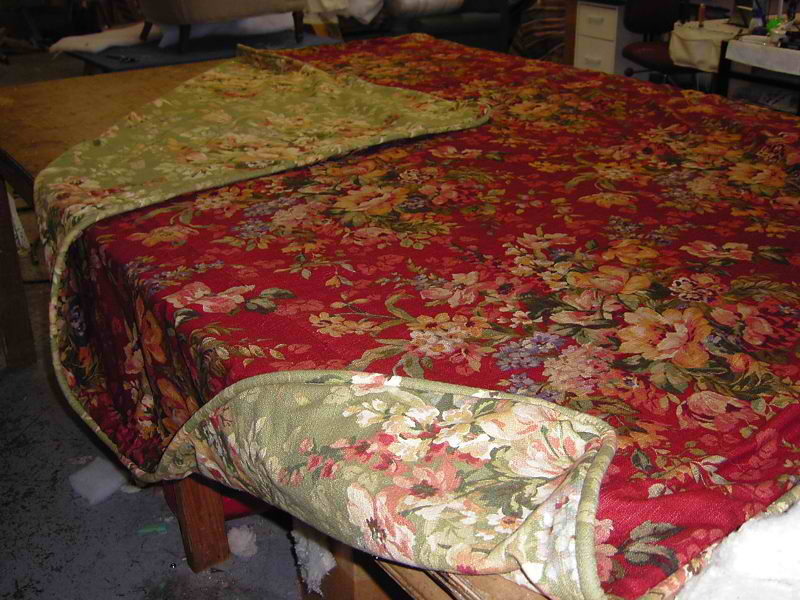 Average retail price on fabric is $40 - $50 per yard. 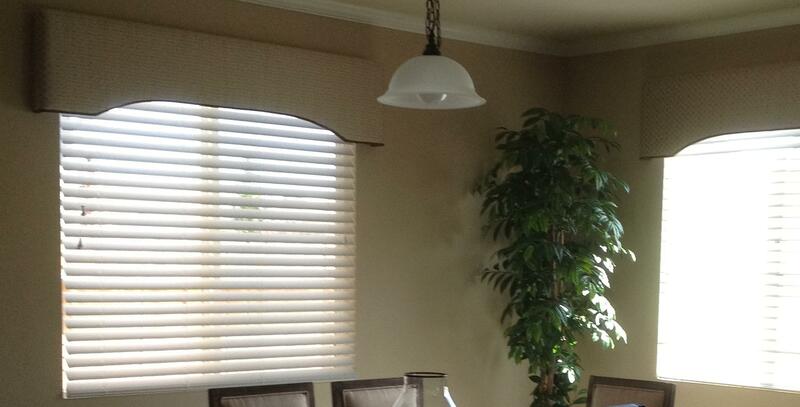 We have hundreds of discounted fabrics in stock, priced $25 a yard. ESTIMATES: Jeanie will come to your home or business by appointment and provide you with an estimate for labor and yardage. Estimates are $25. YES, We build furniture to your specifications. Do you have an unusual space to furnish? Do you want to create a line of chairs? 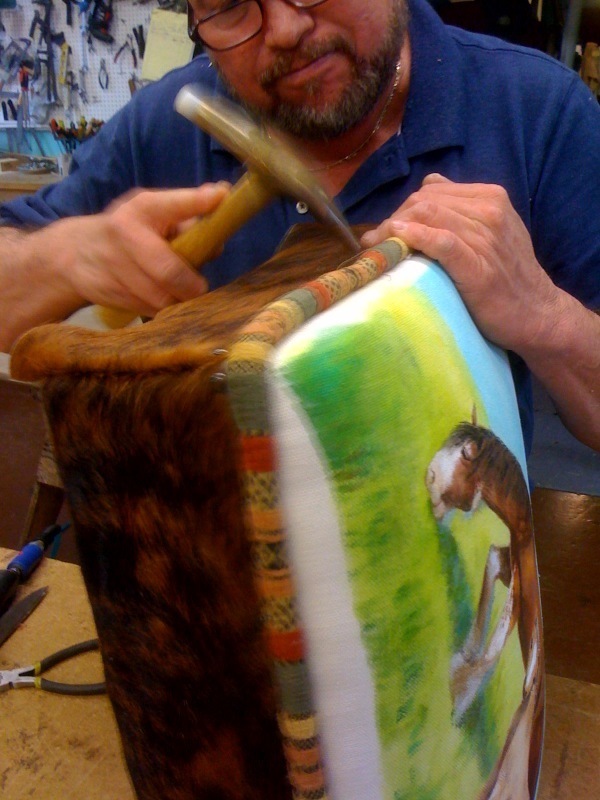 We build and upholster, no problem. Let All In One Upholstery create furniture to fit your space perfectly with upholstered sofas, sectionals, chairs, and ottomans etc. 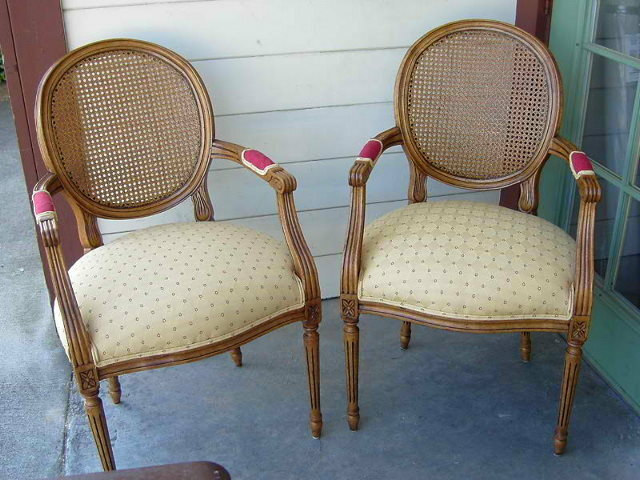 One of a kind childrens chairs, cornice boxes, and more.